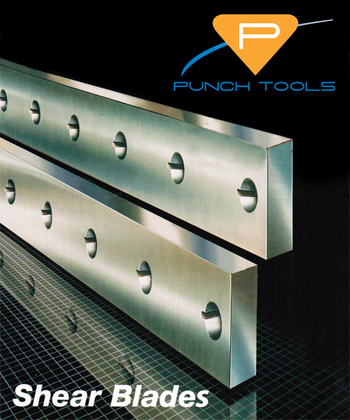 Our shear blades are manufactured from the highest quality tool steel alloys to close tolerance quality control standards. All shear blades are precisely heat-treated to assure consistently uniform hardness throughout. Shear blades are available as single-edge, two-edge, four-edge and bowtie shear blade configurations in many different alloy grades to suit your individual cutting application. Shear blades are in stock for quick delivery. Email us or call today to get you new shear blades on the way. *All prices net; FOB factory.